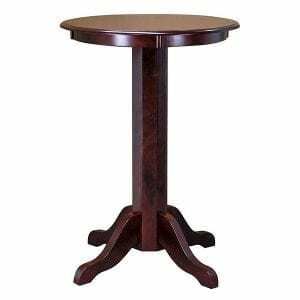 The Executive Pub Table, with its intricately designed wood work, is the perfect accompaniment to barstools or pool table chairs to complete your game room furniture grouping. 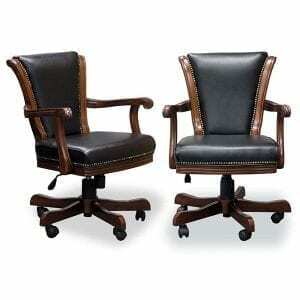 The stylish design is an ideal, and necessary, piece of furniture for any game room. This table invites you to sit down with a friend and start a conversation over coffee or drinks. 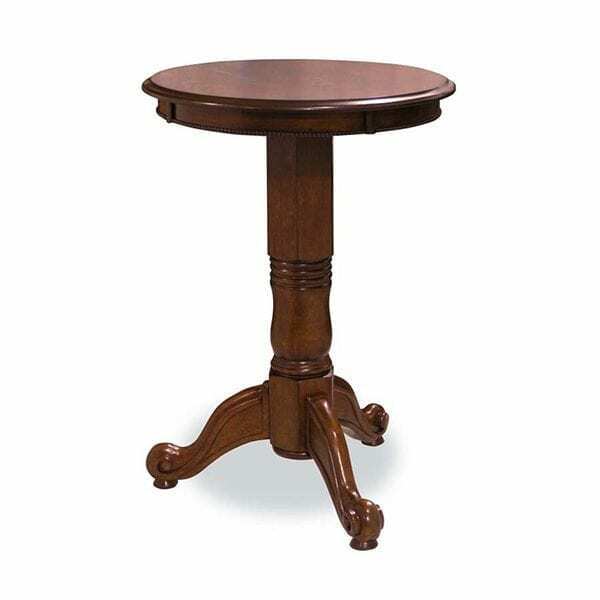 The quality hardwood is what makes this table stand apart from similar pieces. 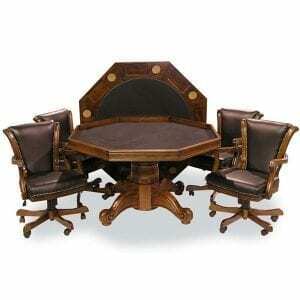 The instant you sit at this table you’ll feel the difference between its rich quality and other lesser quality tables. You even get to choose the finish you prefer: Chestnut or Mahogany. Why restrict this piece of quality furniture to your game room? Why not order several and place them in the kitchen, family room, porch or anywhere you’d enjoy a casual but elegant spot to relax? 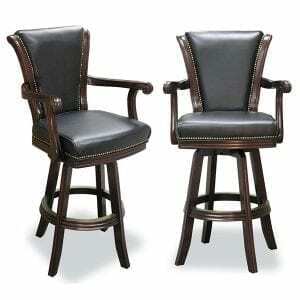 Be sure to view some of our related products, including chairs and bar stools to match your new pub table. This table does need some assembly, the tools needed are provided.